More than ever, there is emphasis on dividing, blaming, and differentiating in society. We are bombarded by it all day long. I don’t understand what era we could want back “again” when it comes to rights for all. Just because we work towards ensuring others equal rights doesn’t mean someone else has to give up theirs. We need to move forward. We absolutely need to continue to make advances in equality. There shouldn’t even be a second thought about it. We all can be a part of change. an opportunity to hope, dream, and thrive so they in turn will inspire others. Each of us has the ability to make a difference, no matter how small. We each can make a difference for ourselves and others. Now is the time. Right here. Right now. We need to keep moving forward. 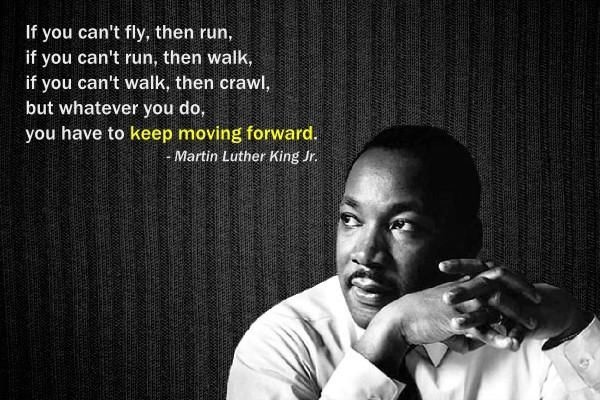 Let’s honor the life of Martin Luther King Jr.
Let’s own our shortcomings and build on our progress.